Work. Play. Train. Eat. Sleep. Repeat. Have not heard of Kanthan Baru? It’s a small village, located nearby some industrial area about 20km away from Ipoh. Some people would say that hidden gems are usually not found in strategic places… that why we call it “hidden”, right? I have not set foot into Kanthan Baru for many years. 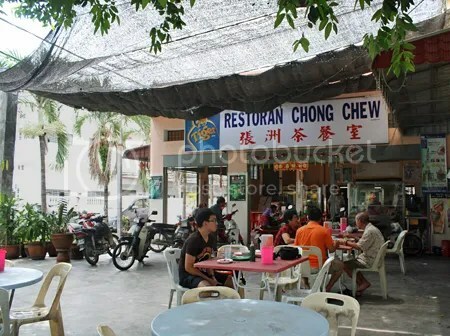 My colleague mates used to stay in Chemor, which is about 5 mins drive. We would gather at his place to do our college homework and have supper with their parents in Chemor or Kanthan. I got to know about this shop thanks to Motormouth. He got to know about this place after watching Taste with Jason (Axian) on Astro AEC and he couldn’t wait any longer to try their Hakka offerings. But since there were only two of us, we just ordered a few items to be shared between the two of us. The Hakka lei cha (pounded tea rice) came with different types of chopped greens, condiments and a pungent chlorophyll-smelling broth – this was actually my first time trying lei cha and it was quite a pleasant surprise, as it wasn’t as bad as I perceived. But I didn’t really add all the broth to the rice, so it was still acceptable. 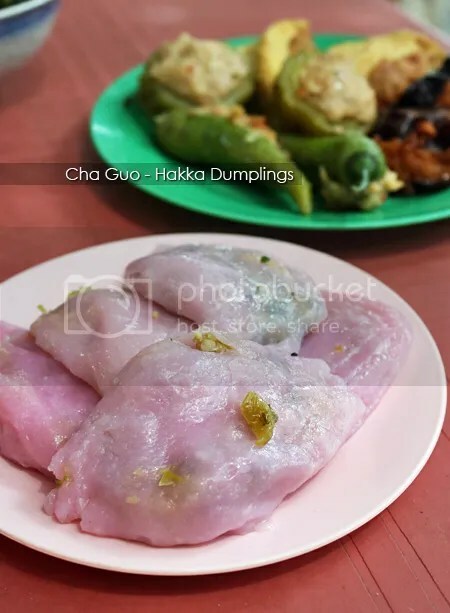 Pink-dyed dumplings called “cha guo” are also sold here with various of savoury fillings. It is quite difficult to find these nowadays, so when we saw these, we actually gone overboard by ordering too much (*gasp). 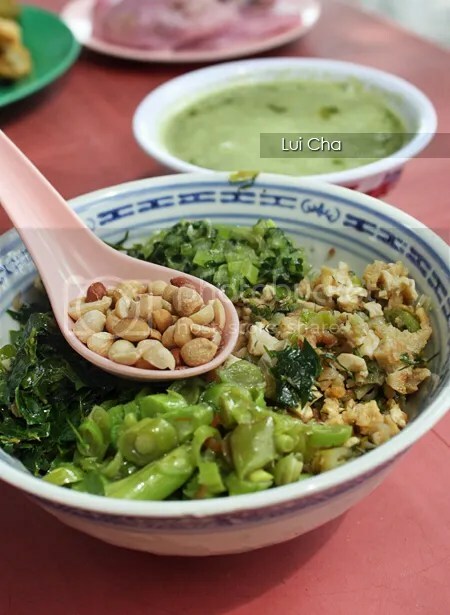 Available in shredded yambean with peppery dressing, preserved vegetable (mui choy), grounded peanuts, dried shrimps and Chinese chives, I love the yambean and peanut version. 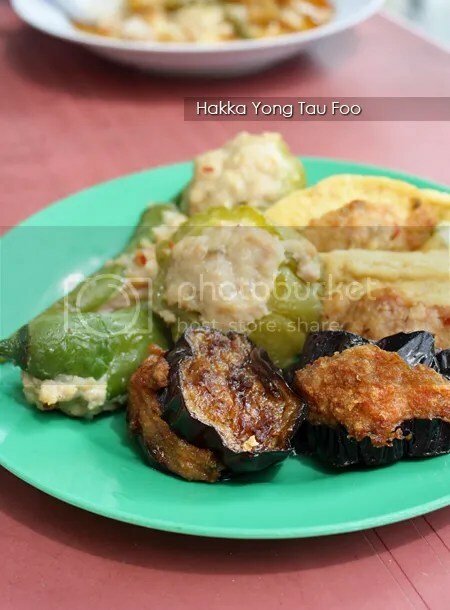 Authentic Hakka yong tau foo (we call it yong liew) are hard to come by, as the key ingredient for the stuffing lies in the minced salted fish. Fish paste + finely minced pork + salted fish = heavenly combination but due to the time-consuming process and cost, most proprietors would just omit the salted fish. 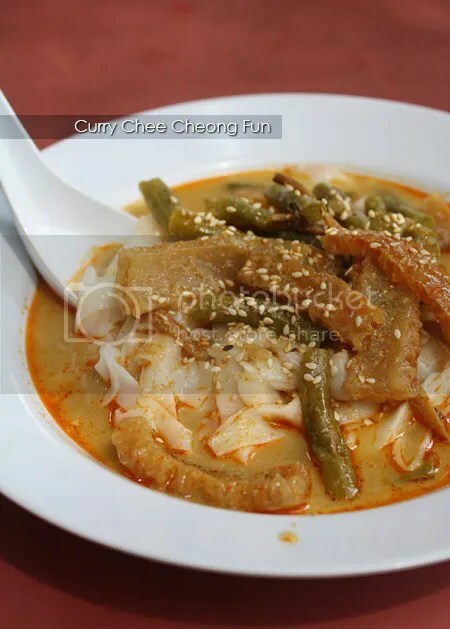 In Chong Chew, they skipped on the salted fish as well, but they substitute it with an ingredient that rarely make an appearance in Hakka or Chinese cuisine – fennel seeds. Used extensively in Indian cuisine, fennel seeds acts as after-meal mint or used to flavour the curries. However, the combination of the yong liew with fennel seeds were surprisingly nice, adding a little bit of omph to the morsels. Directions: You can read it here. *The map does not point to the exact location of the shop, it is just a reference on the nearby spot. Do you often bugged by the daily question “Where or what to eat?”. Love freebies or discounts while dining out? What you need might be a copy of the Worthy Book(TM) F&B Special Edition 2012-2013! I admit that I’m always bugged by the question at least two times a day (lunch and dinner. Breakfast doesn’t count cos that can be solved very easily with… nasi lemak and curry puffs, hehe). When I saw the book the other day, I had a strong urge to buy it and wah-lah, what a surprise! Whole book of vouchers to use until March 2013. Since I am so busy with my classes recently, sometimes I just couldn’t be bother where or what to eat and that’s when the book comes in handy; it helped me to decide. Here’s a sneak peek of the vouchers from Kim Gary. For RM29.90, I think the book is very worth it. 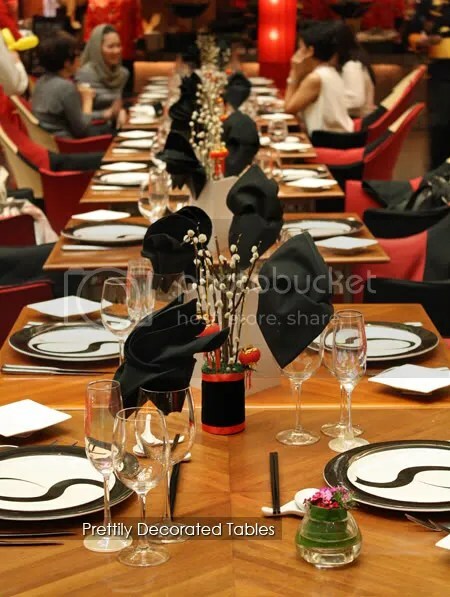 Other than just using the vouchers for your daily meal or weekend gatherings, you could also utilise them for family or friend’s birthday dinner. 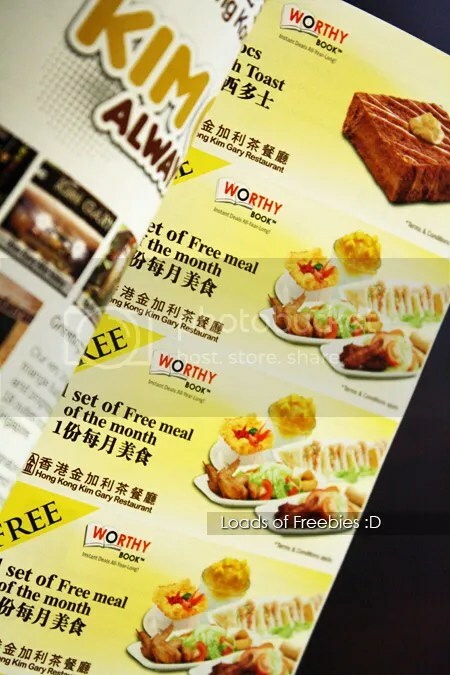 You could get vouchers for Japanese, Chinese, Korean, fusion, bar/pub, desserts, cafes and snacks… Ochado, Share Tea, Shogun, Mochi Sweets, Mr. Siew Bao, Delectables by Su, Gloria Jean’s Coffee, Ko Hyang are some the participant merchants, among others. 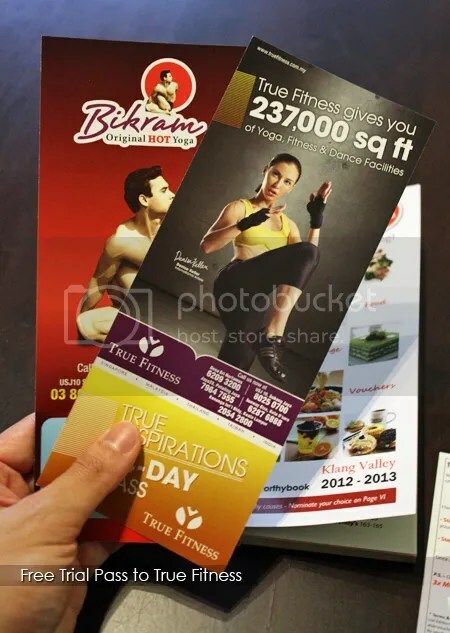 And to counter the pounds you might gain from the eating spree, the kind people at Bizzy Body, Masculine and True Fitness are giving out vouchers and free trial pass too. So, what are you waiting for? 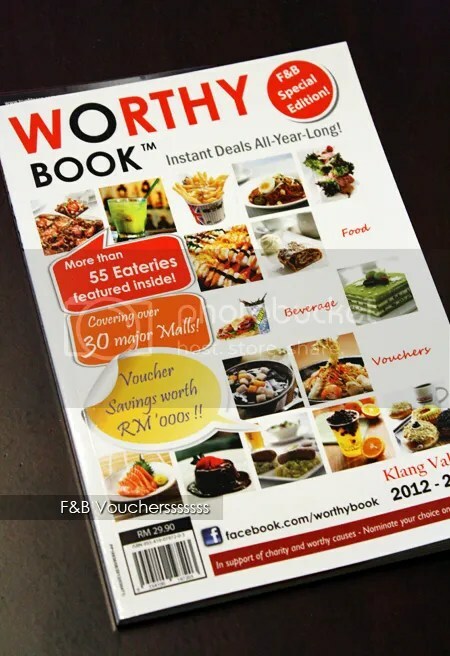 Worthy Book (TM) F&B Special Edition 2012-2013 is available at all major bookstores (MPH, Popular, Times, Borders, Kinokuniya) and selected myNEWS.com outlets in Klang Valley. Shook! 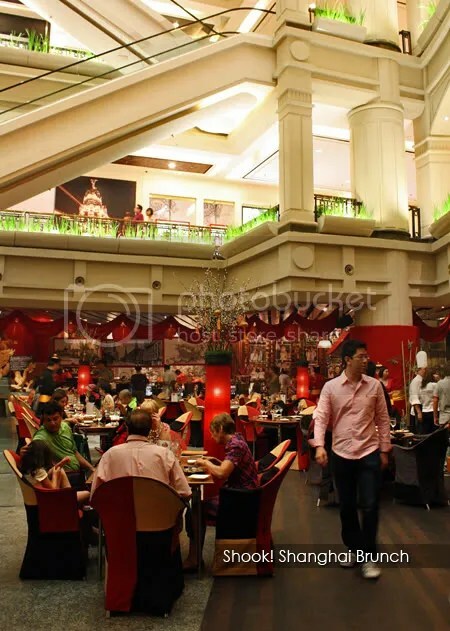 in Starhill Gallery came up with their Sunday brunch buffet in Nov 2011, with Masquerades as the main theme. It was a great success and to keep things fresh, this year, starting April 1st, the team behind Shook! 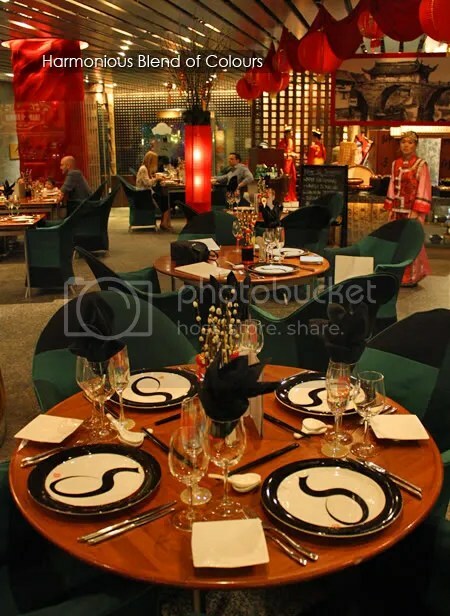 brings back the old taste of Shanghai with a unique blend of Western and Chinese fusion cuisine to please their diners further. A refreshing East meets West buffet concept suitable for the whole family, young or old, the moment you step into Shook!, you will be surrounded by a wide array of world-famous cuisines such as 8 Treasures Braised Duck, Crepe Suzette (French pancake of caramelised butter and sugar, filled with fruits and served with whipped cream, almond flakes and Curacao liqueurs in a flaming flambe! 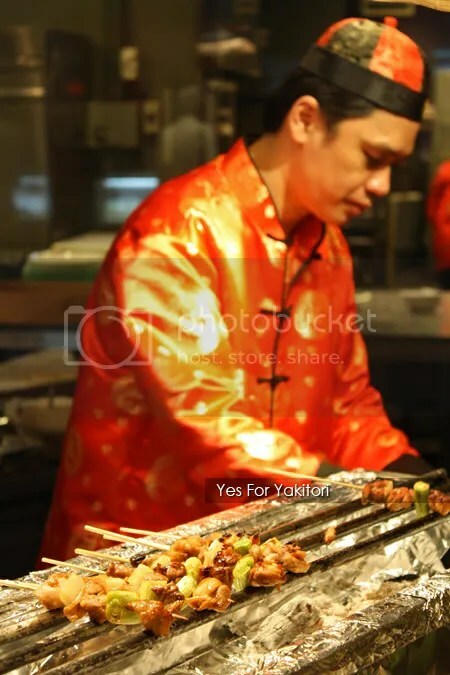 ), sushi platter, antipasti and famous cheese such as Brie de Meaux, as well as men and women dressed up in their cheongsams and samfus, ready to serve you. 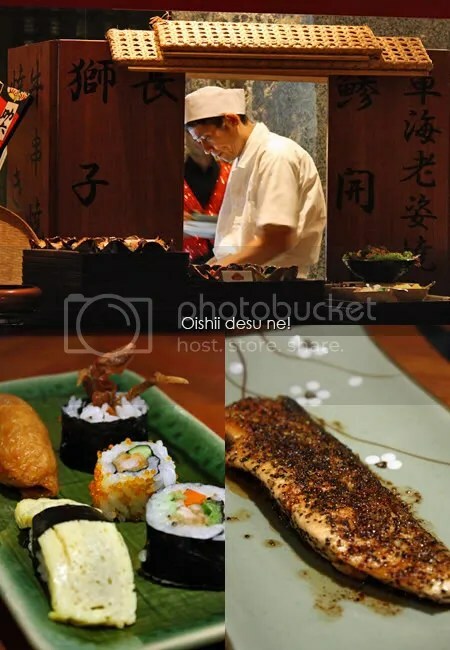 Apart from the buffet spread, diners are also given an a la carte menu, where they can choose one signature dish, either from the Grill, Japanese, Chinese or Italian. My grilled Salmon fillet from the Japanese a la carte menu was fantastic; fresh and well-seasoned with a dash of black pepper. WMW‘s King Prawn Noodle from the Chinese menu came in a humongous portion, certainly worth every cent you pay for this! The big prawns were fresh and succulent, while the gravy was whipped to the right consistency, but I found the ginger taste a little bit overpowering the dish. 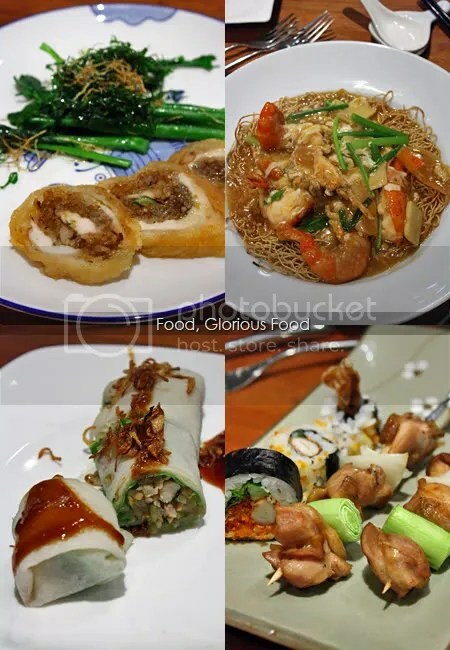 The chicken roll with glutinuous rice was an interesting combination, while the fresh spring roll was good albeit the slightly thick spring roll skin. 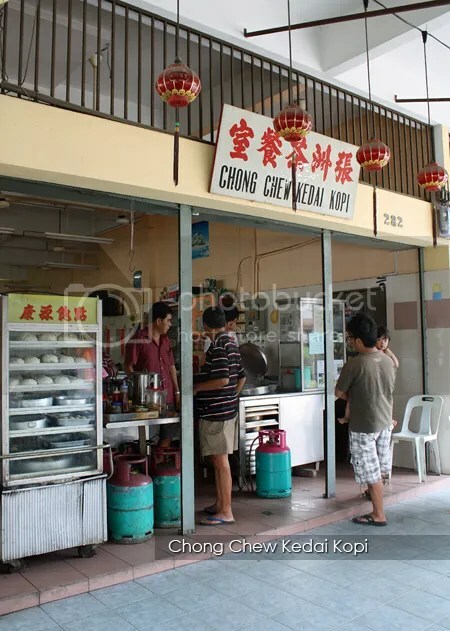 I also love the onion pancakes, a traditional Chinese snack that is difficult to find nowadays, and the “mua chee”, glutinuous rice ball stuffed with dry black sesame paste and coated generously with crushed peanuts. 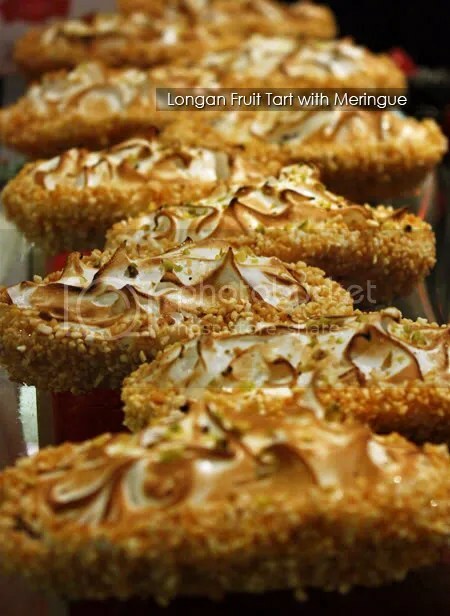 As for dessert, the longan fruit tart with baked meringue topping was refreshing. As for drinks, there is a wide selection of cocktails, mocktails, in-house pouring wine (Hunter’s Sauvignon Blanc and Pinot Noir), champagne (Laurent Perrier Brut), juices and soft drinks to choose from. 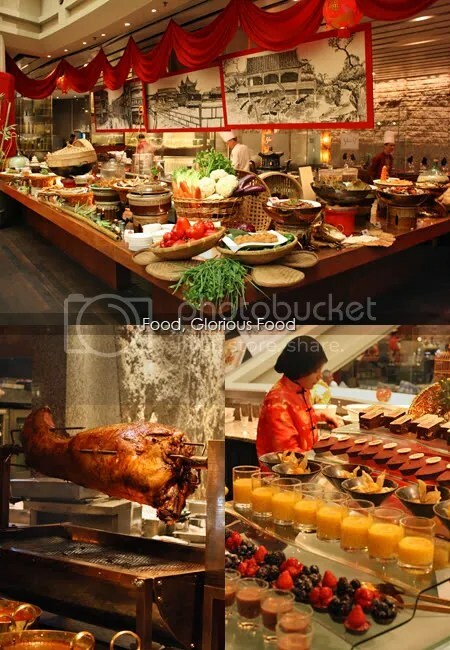 For your information, there are two pricing for the buffet brunch; should you choose to include free-flow champagne in your meal, it’s priced at RM268++. 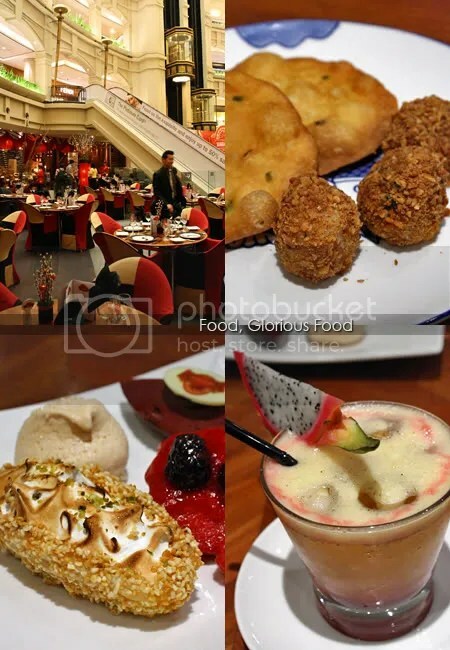 If food only, it’s priced at RM168++ (not including drinks). We did tried their mocktail and cocktail; the Dragon Sunrise (RM21++) mocktail is made of dragon fruit, pineapple, orange and grenadine syrup, while the cocktail Fire Ong (RM40++) consists of Bailey’s, Kahlua and Sambuca – set aflame on a wine glass! That was certainly a sight to behold. While you tuck in, your hearing senses will be pampered with songs you’ve grown up listening to, brought to you by the live band. Also, watch out for Chase, the magician and his sidekick Mime who is quirky, yet at the same time amused us with his balloon art. 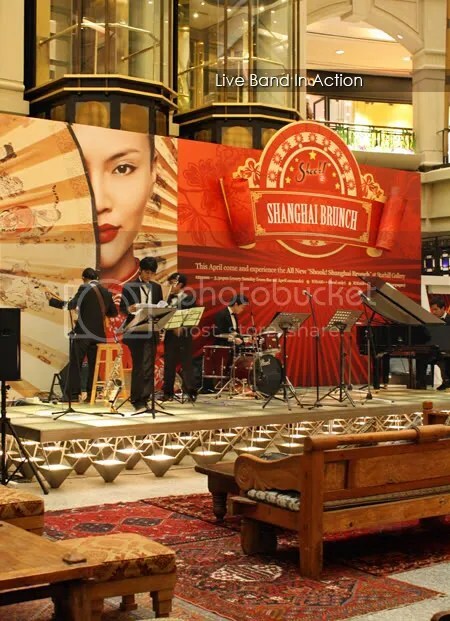 Shanghai Brunch is available every Sunday at 12pm onwards until 3.30pm, starting April 1st, 2012. For reservations and enquiries, please contact 03-2719 8330. Hop over to theNomadGourmand and Bangsar Babe for more pictures! You Get What You Give ….. Sometimes …..